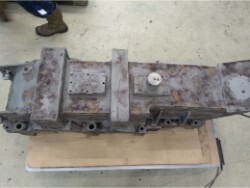 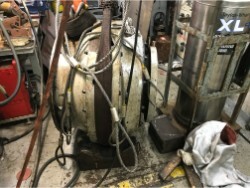 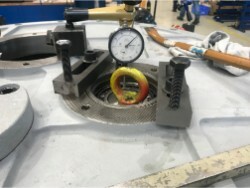 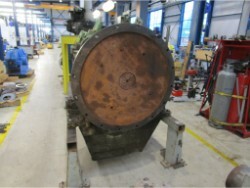 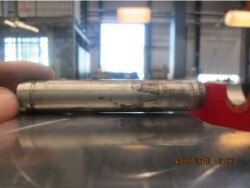 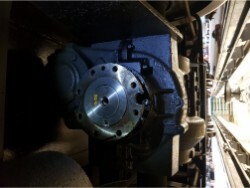 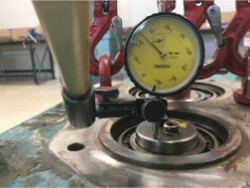 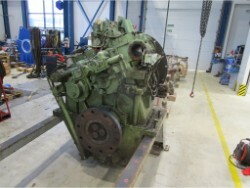 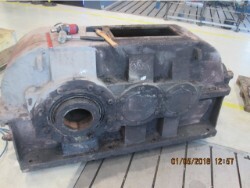 The travel of the liners was recorded after pressurizing and after assembly of the clutch between the propulsion gearbox and the diesel engine. 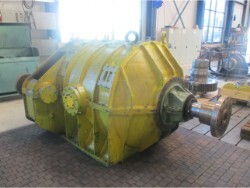 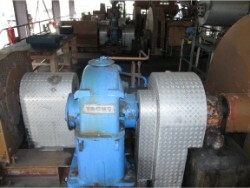 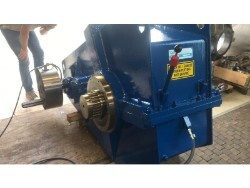 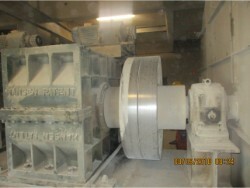 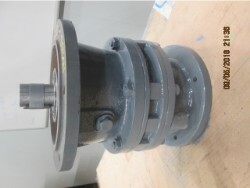 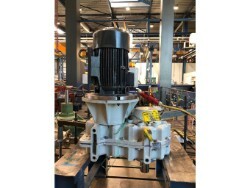 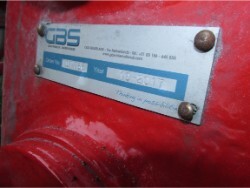 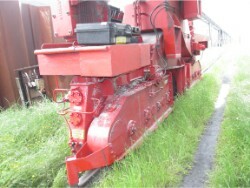 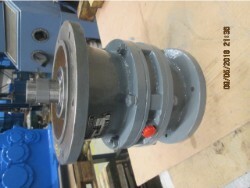 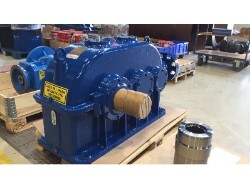 The condition of the sand pump gearbox can be considered as good. 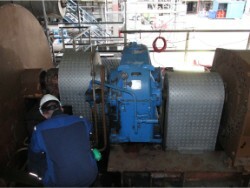 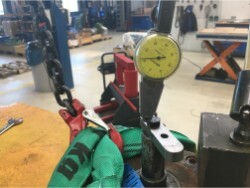 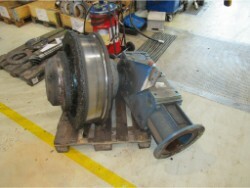 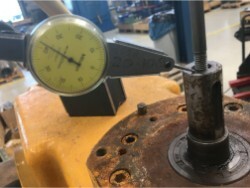 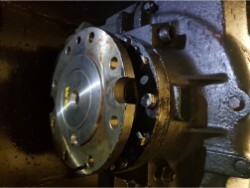 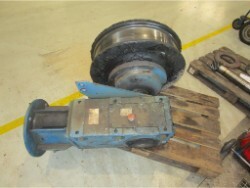 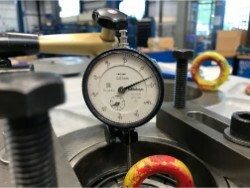 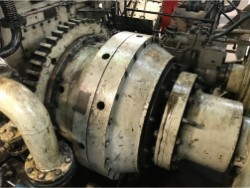 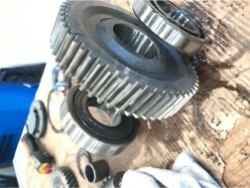 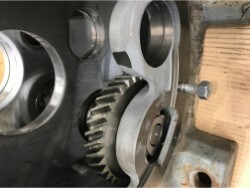 The gears are in good condition and no major bearing damage has been observed. 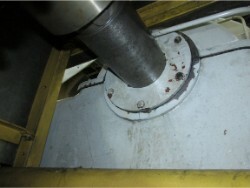 - To establish a schedule of yearly visual inspections. 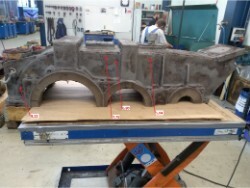 Large parts of the cabinet house contain places where less than 80% of the original wall thickness is present. 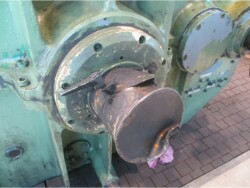 It is therefore advisable not to reuse the cabinet. 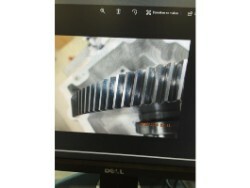 - Perform a visual inspection annually. 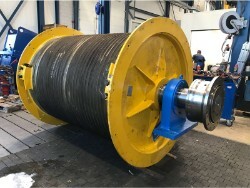 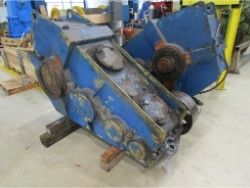 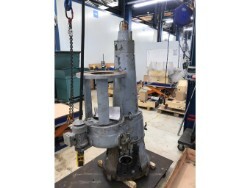 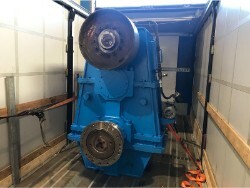 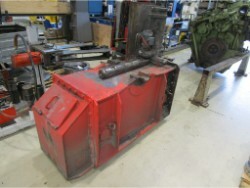 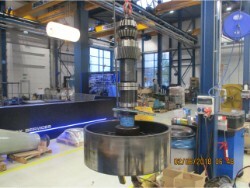 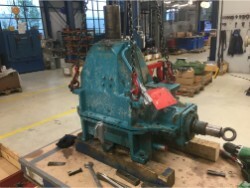 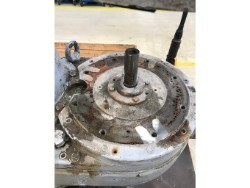 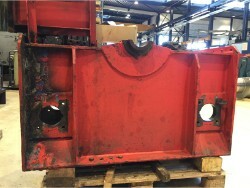 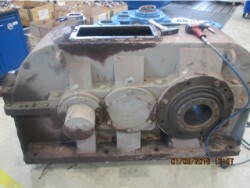 The condition of the three gearboxes can be considered as good, no indications of bearing damage have been observed and the toothing is in good condition. 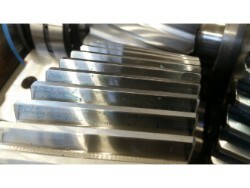 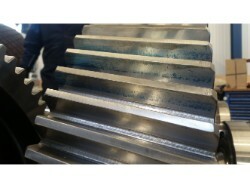 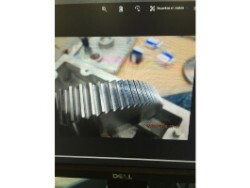 Grooves or undulations were observed on both sides of the gears. 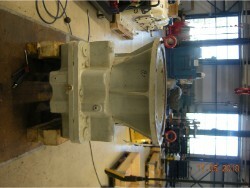 This structure comes from the production process and not a sign of damage. 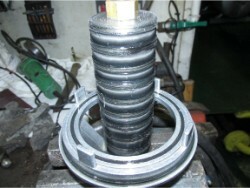 Elevator 3 The replacement of the ina ring and the oil seal has been successful. 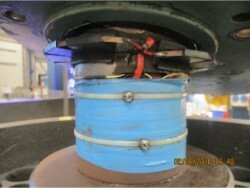 The elevator was also tested immediately after the work, no deviations were found. 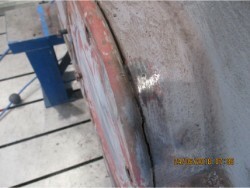 - Documenting the condition of the internal work in the short term by means of preventive visual inspection (2015 latest visual inspection).